About - A Cut Above - Based in Menifee, Calif., A Cut Above Construction, Pools & Landscape Inc. is a turnkey Southern California swimming pool and landscape contractor. Premier custom pool builder in Southern California. 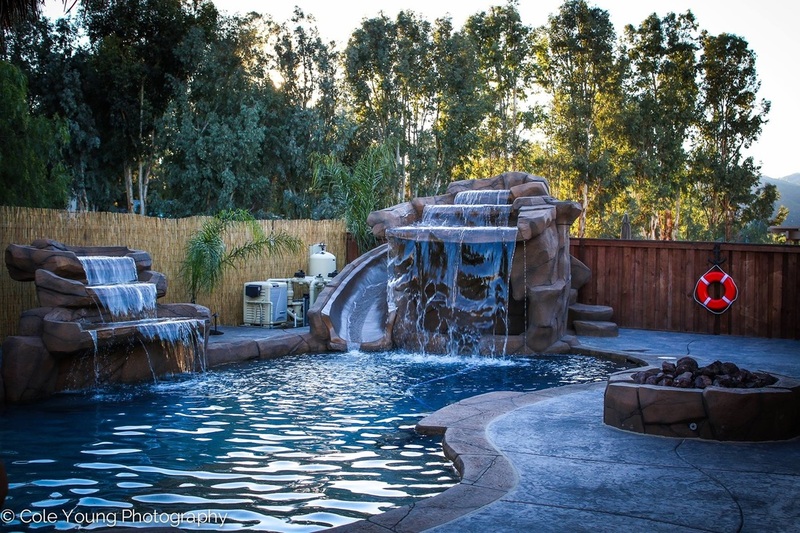 Established in 1988, A Cut Above has proven, through years of hard work and dedication, to be one of the premier custom pool builders in Southern California. That commitment to excellence has kept us among the top 1% of pool companies, builders and contractors. Those high standards are no secret to the thousands of satisfied customers A Cut Above has worked with over the past 25 years. At A Cut Above, we’re proud to remain A+ rated by the Better Business Bureau and of our perfect record with the California State Contractors Board. A Cut Above also enjoys relationships with many local city, county, police, and fire department officials. The driving force behind A Cut Above's success is owners Chris and Debbie Young. This husband-and-wife duo maintain the highest standards for professionalism, craftsmanship, quality and dedication to ensure that your backyard is a source of pride. With more than two decades of industry experience, Chris oversees and manages projects to ensure each customer receives the owner's personal touch — and the backyard of their dreams. In his own words, Chris’s goal as owner has always been to design exactly what our clients want, not what he wants. After all, it’s their yard! A Cut Above Pools swimming pool contractor has the confidence and design capability to create the backyard of your dreams. Prior to construction, A Cut Above’s team of professional design estimators works with each client on a one-on-one basis to create a unique design that suits their individual needs. Known for their ability to listen to their clients' desires and dreams, count on our qualified staff to design exactly what you envision. It’s their trademark! You can either waste valuable time getting estimates and suggestions, with the normal run around, only to end up more confused than when you started. But the easy way is calling A Cut Above, who is always on the cutting edge of style and design. The end result will be the backyard of your dreams. Copyright © A Cut Above Pools. All rights reserved.